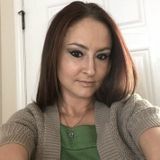 Want to connect with Marlena? Nice to meet you! My name is Marlena Rae. I live in Summerville and want the opportunity to provide sitting services for your home and family. I look forward to speaking with you! Tj, 28 young business owner. Looking to house sit. Interested In a House Sitting Professional Opportunity in North Charleston and Mount Pleasant.